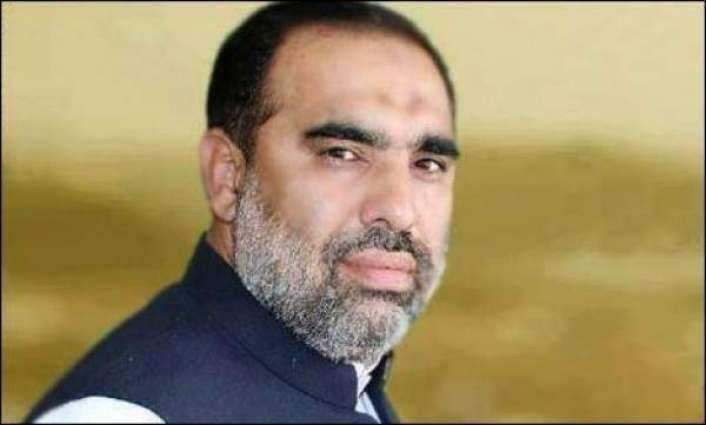 PESHAWAR (UrduPoint / Pakistan Point News - 16th Apr, 2019 ) :Speaker National Assembly Asad Qaiser Tuesday said that the 1973 constitution of the Islamic republic of Pakistan ensured the protection of the basic rights and provision equal opportunities for progress and development of all its citizen in the country. He expressed these views while addressing in inaugural session of two days National Parliamentary Consultation on Sustainable Development Goals (SDGs) at Pakistan Institute of Parliamentary Services (PIPS) on Tuesday, said a press release issued here. He said that it was the duty of government to provide basic education from five to sixteen years of age as per constitution. While stressing on the need to make comprehensive public policies for the welfare of the common people, he said that 18th amendment in the constitution had enhanced the importance of federating units and now provinces could play their vital role for uplifting the status of the common people. The Speaker said that incumbent government was striving hard to eliminate poverty, unemployment and illiteracy from the country. He said that climate change was a serious issue which needed to be taken on priority basis at all levels of governance. He said that Regional Conference would be held in Pakistan during the month of October and hoped that all neighboring countries would participate in this conference to deliberate upon the issues being faced by the region. While stressing on the need of being united for the progress of the country, he said "This country belongs to us and we are recognized in the world because of Pakistan.
" He also mentioned that progress and prosperity depended upon development of the country. He said Pakistani nation was a brave and it always faced the challenges with courage. Asad Qaiser said that model villages were being established across the country to support the destitute and hapless and to provide them with basic need of food, shelter, health and education. He said all philanthropic and welfare organizations had been united to this cause. He said that initial procedures and codal formalities in this regard had been completed. At the start, the model villages would be established in the capitals of the four provinces to provide schools, hospital and other basic needs under one umbrella, he added. He said that he gifted one thousand kanal personal land for establishment of Model Villages in KP. He stressed on the parliamentarians to specially concentrate on the welfare of the people in their Constituencies. The Speaker appreciated the efforts of Riaz Fatyana convener of SDGs Task Force in National Assembly for supporting the cause of SDGs in Pakistan. He also appreciated the UNDP and UNICEF for their cooperation in organizing the National Parliamentary Consultation on SDGs. The conference was attended by Senators, Members of SDGs task forces from National Assembly, Provincial Assembly and Legislative Assembly of GB and other members of the civil society organization.